These three headstones look as though they're keeping watch over the rest of the valley. 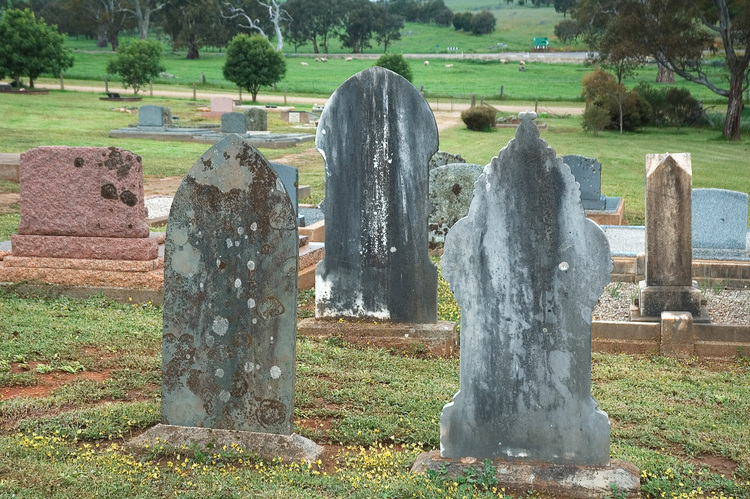 Seen at the Tungkillo cemetery. Details: Nikon 18-70mm, 40mm, f/4.5, 1/100s, ISO 200.